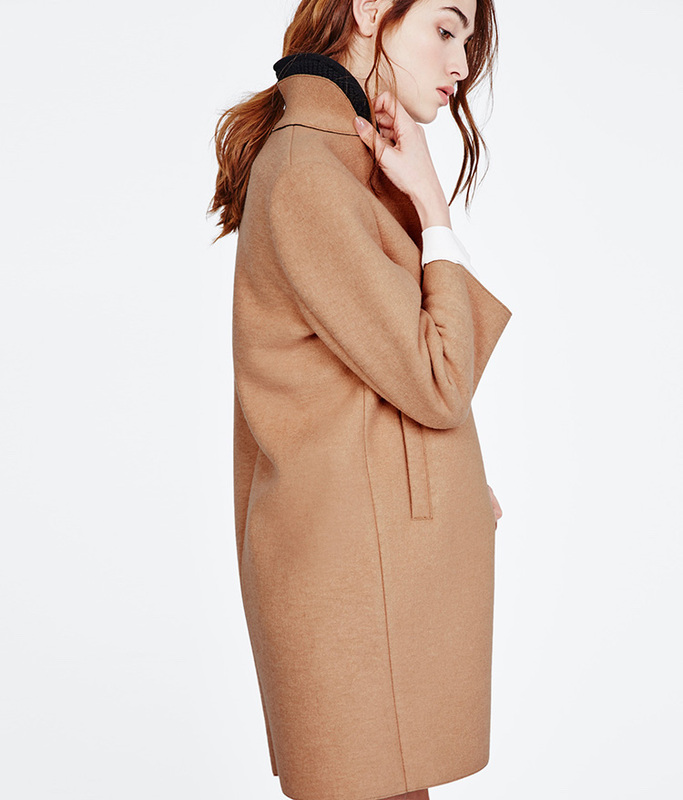 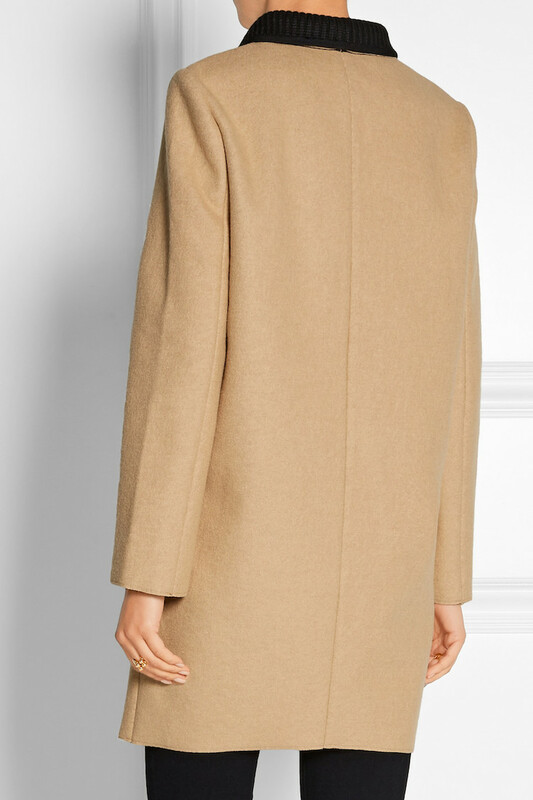 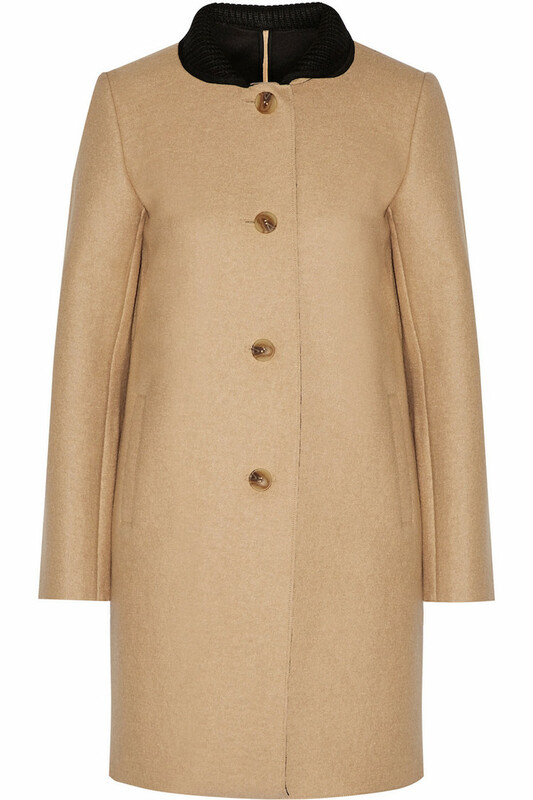 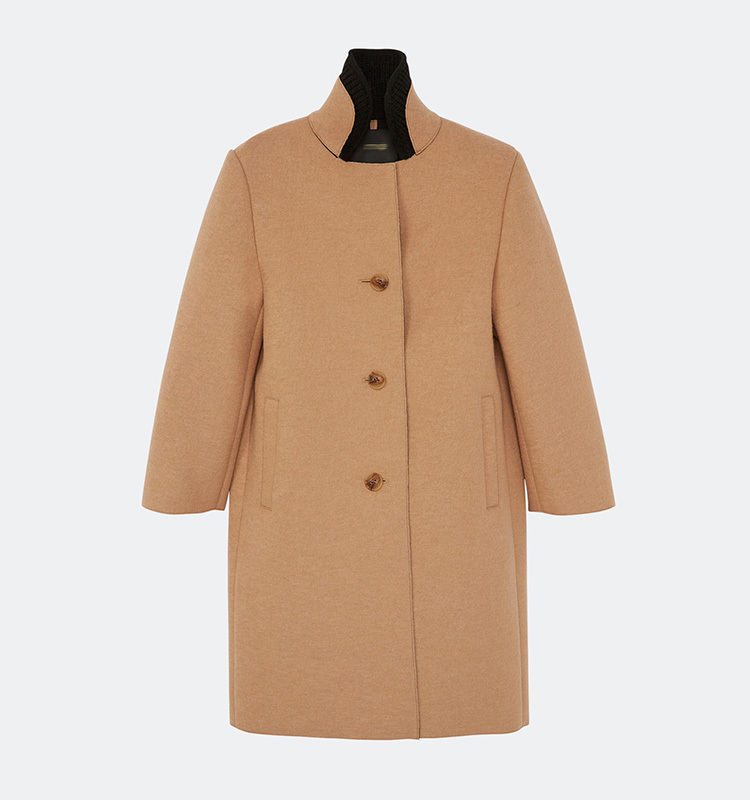 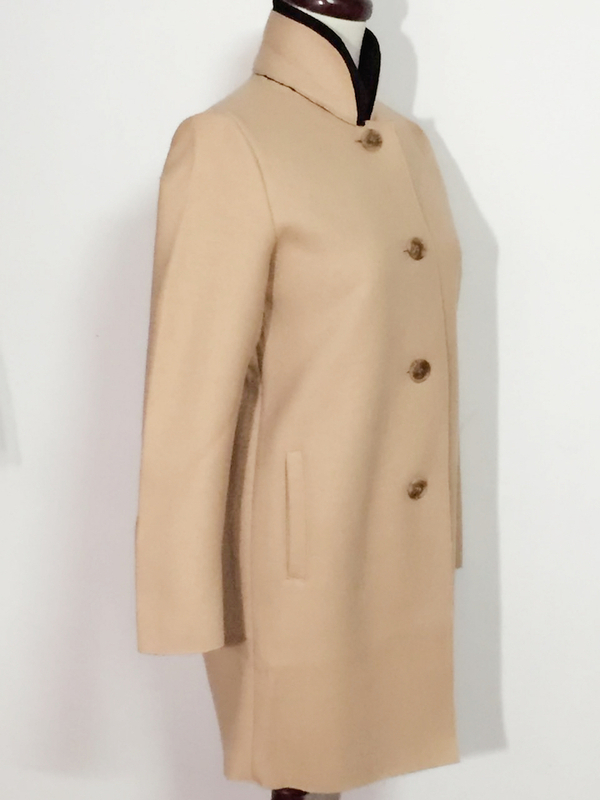 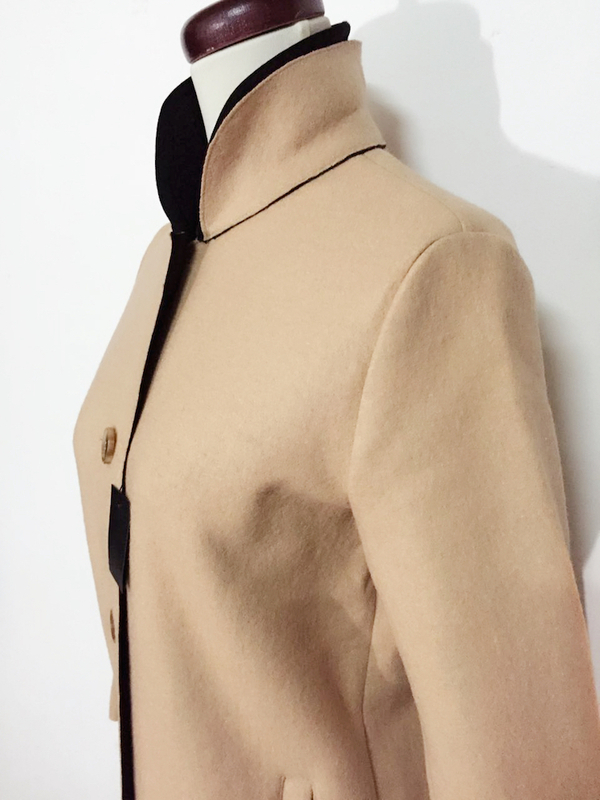 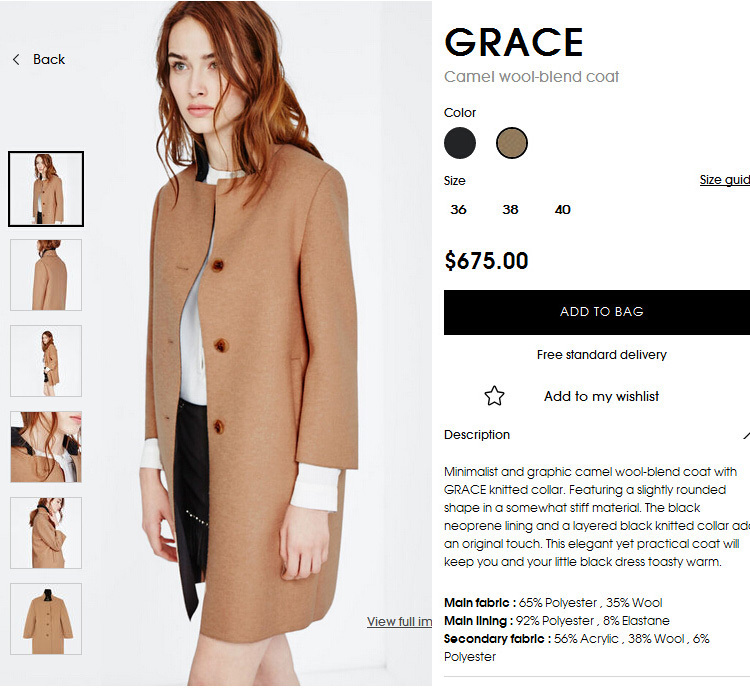 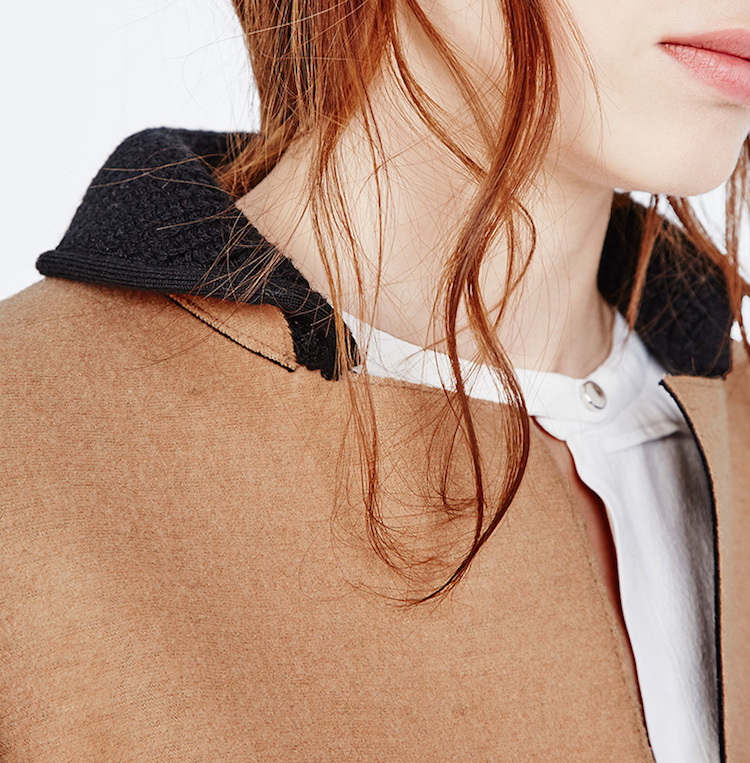 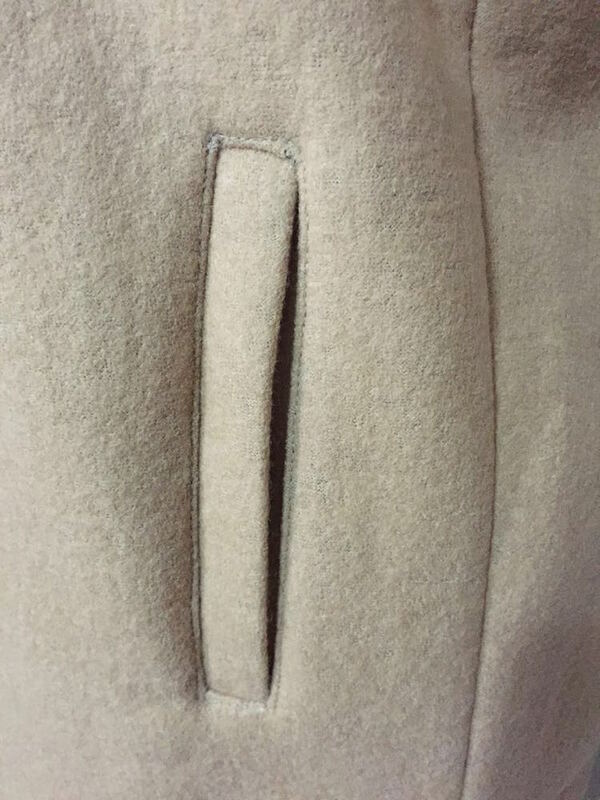 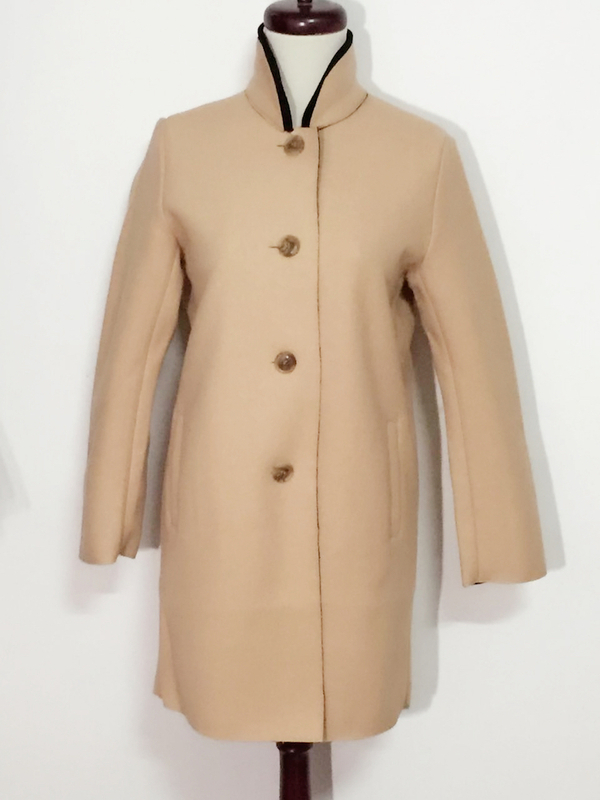 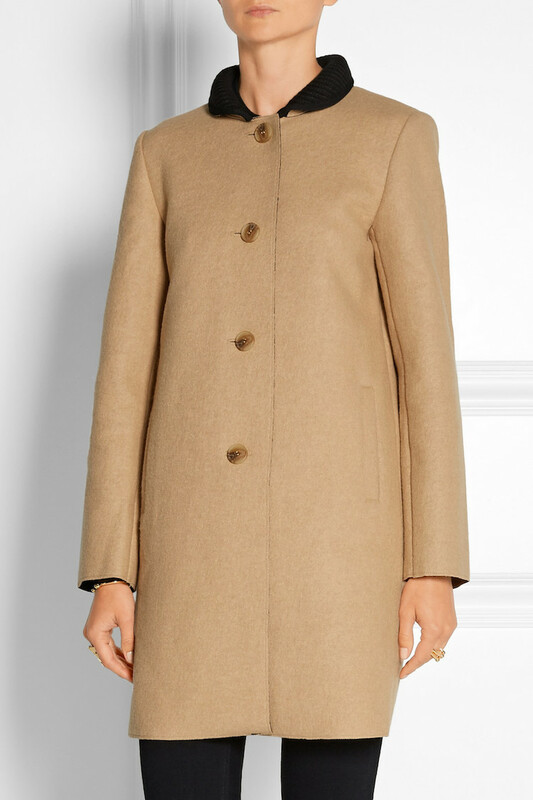 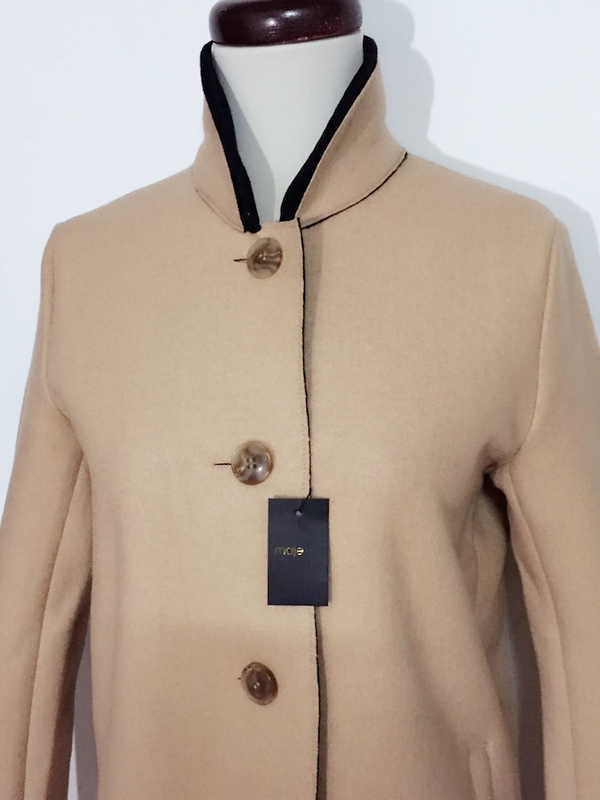 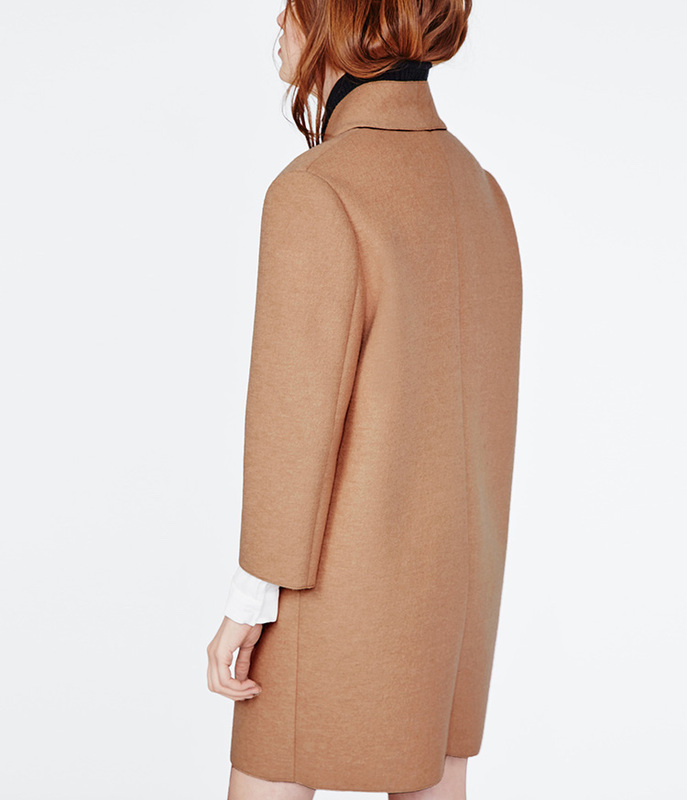 Minimalist and graphic camel wool-blend coat with GRACE knitted collar. 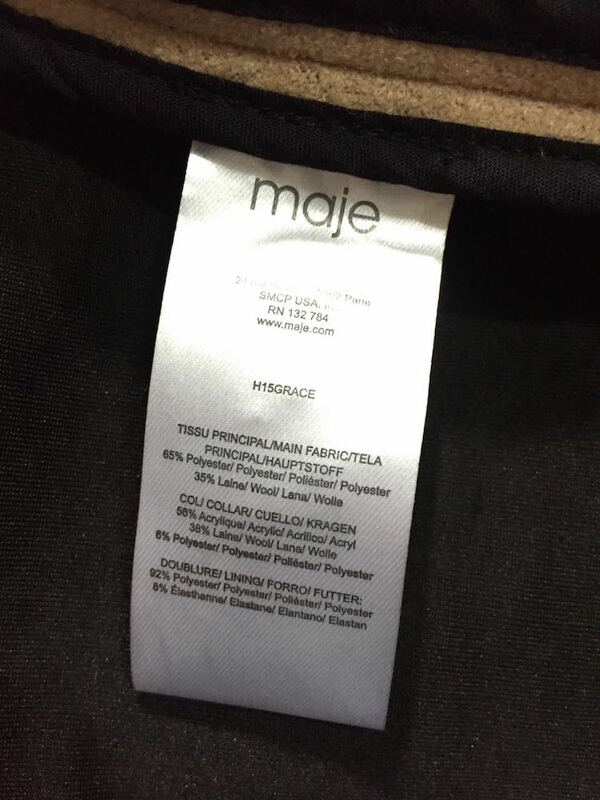 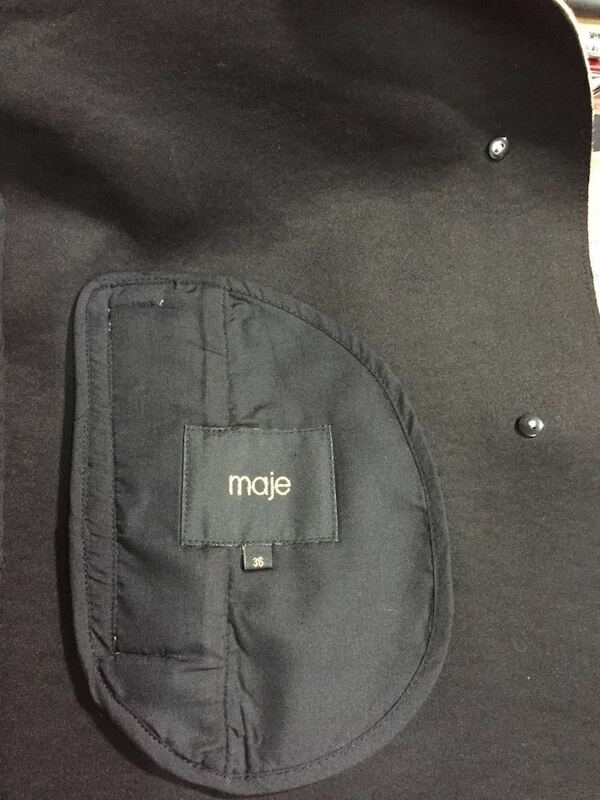 Featuring a slightly rounded shape in a somewhat stiff material. 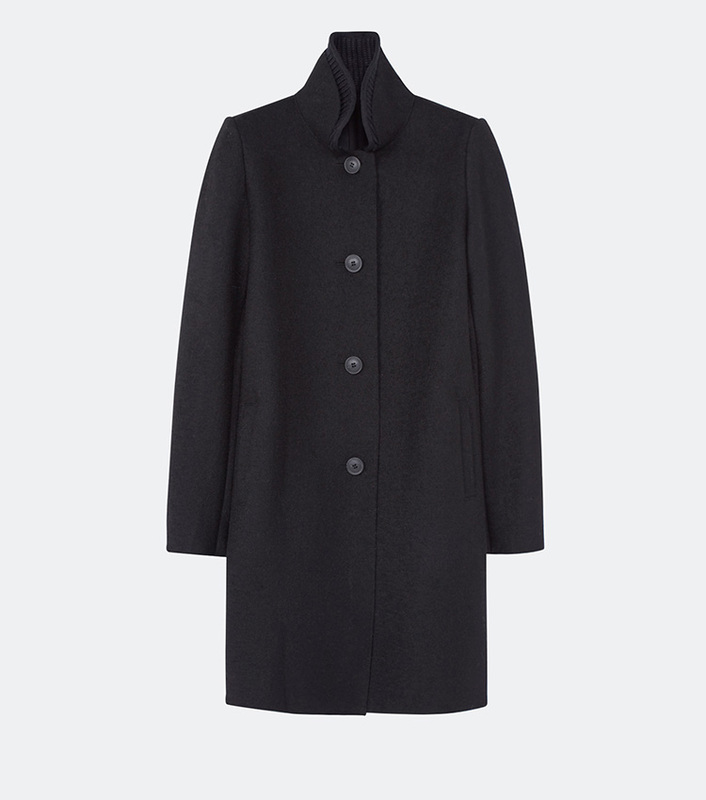 The black neoprene lining and a layered black knitted collar add an original touch. 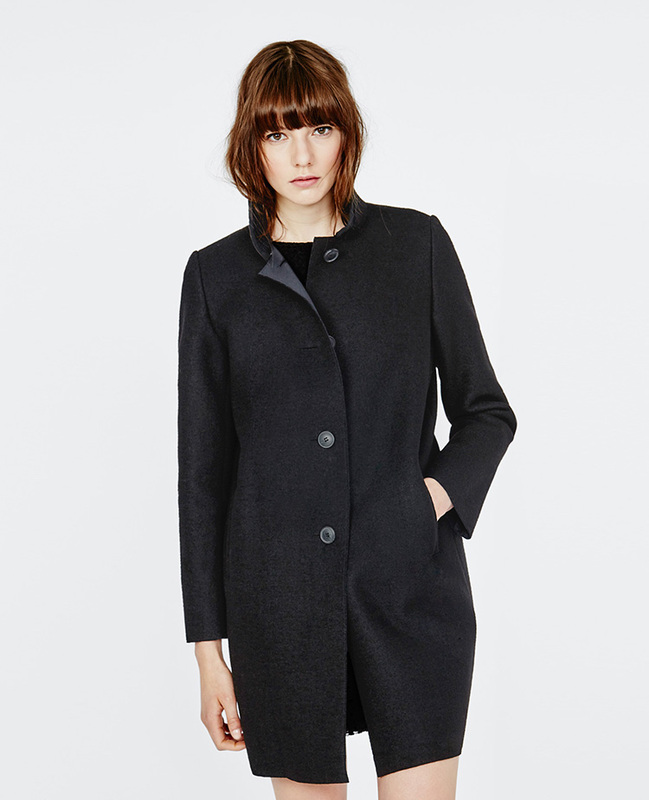 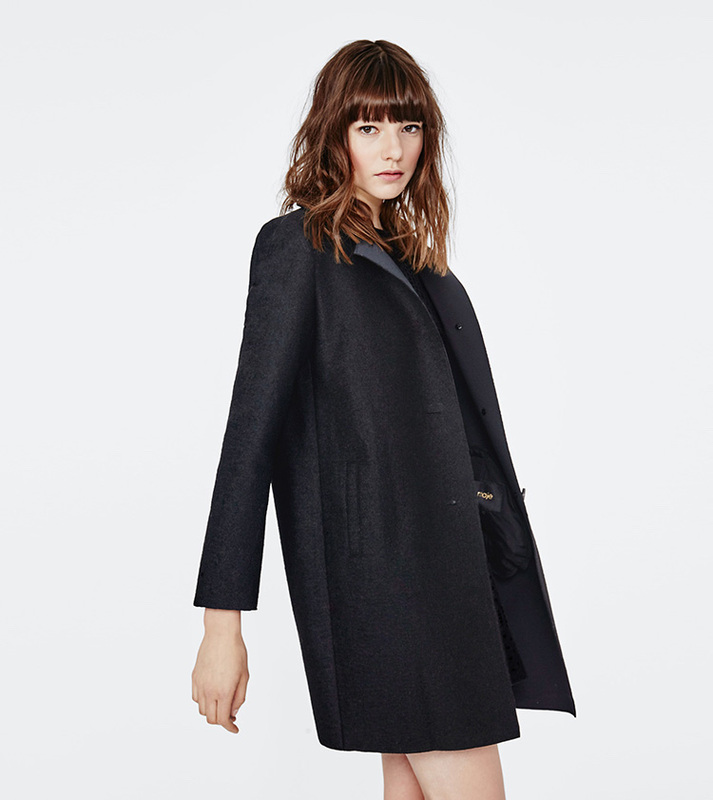 This elegant yet practical coat will keep you and your little black dress toasty warm.